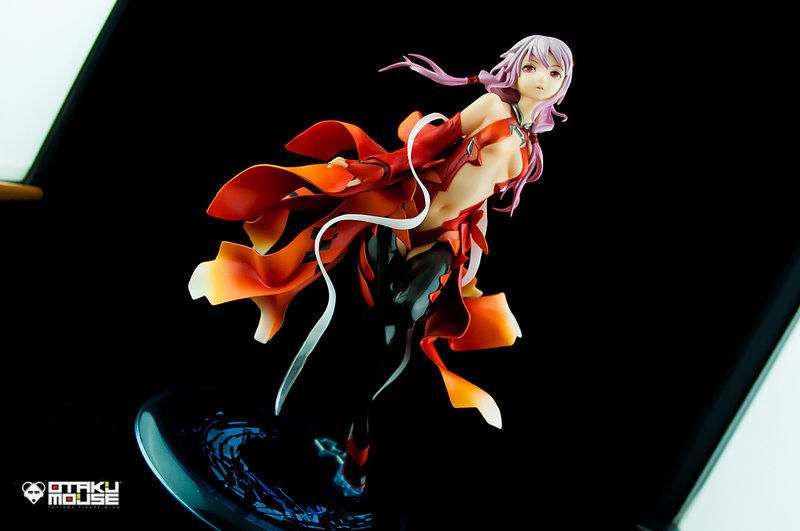 Got this figure for quite some time now and already did her photo review late last year. This is just the time I got to post it because of my very toxic schedule. 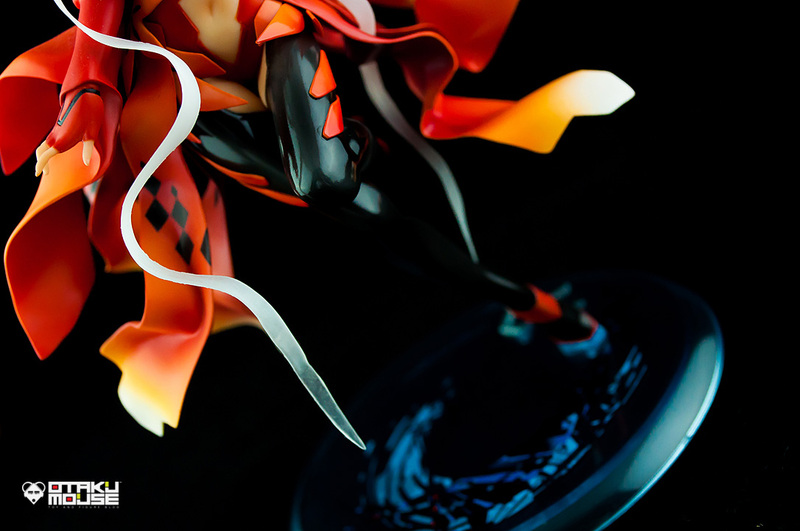 This figure is scaled at 1/8 and manufactured by the talented guys at Good Smile Company. 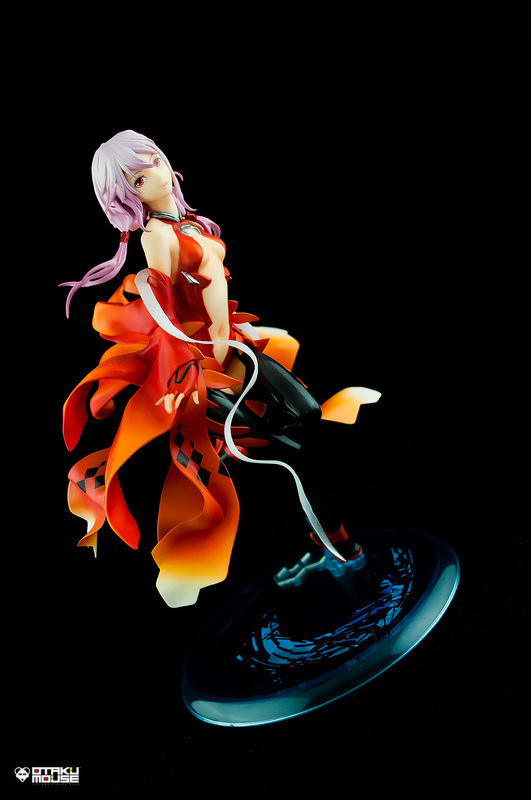 She’s also my only Inori figure in my entire figure collection. 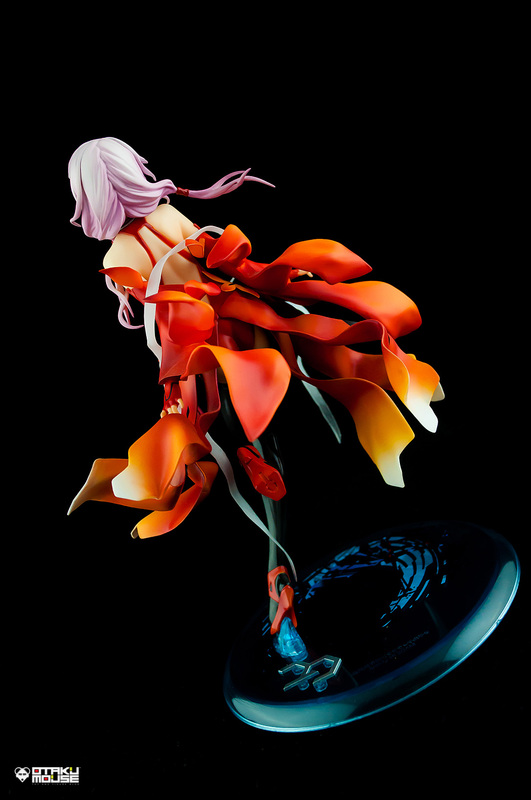 I still haven’t seen any Inori figure that could match GSC’s quality so currently, GSC’s version is my favorite rendition of her so far. 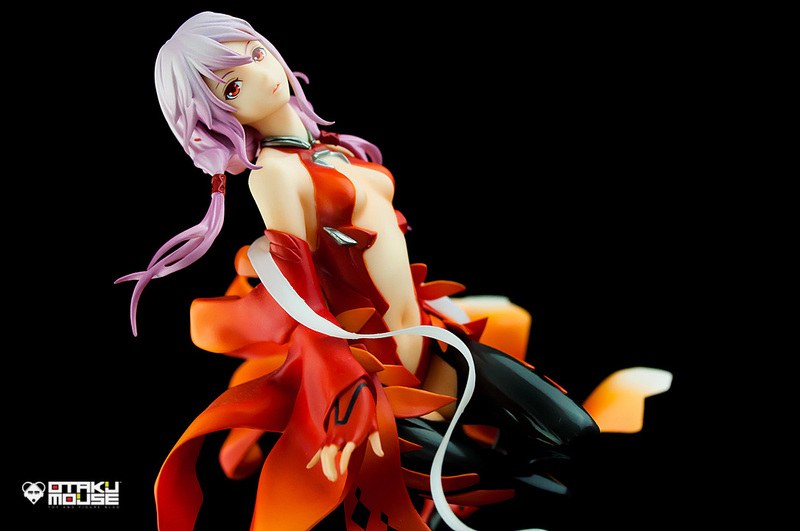 Inori was from the very popular anime, Guilty Crown – which unfortunately I haven’t finished watching yet. 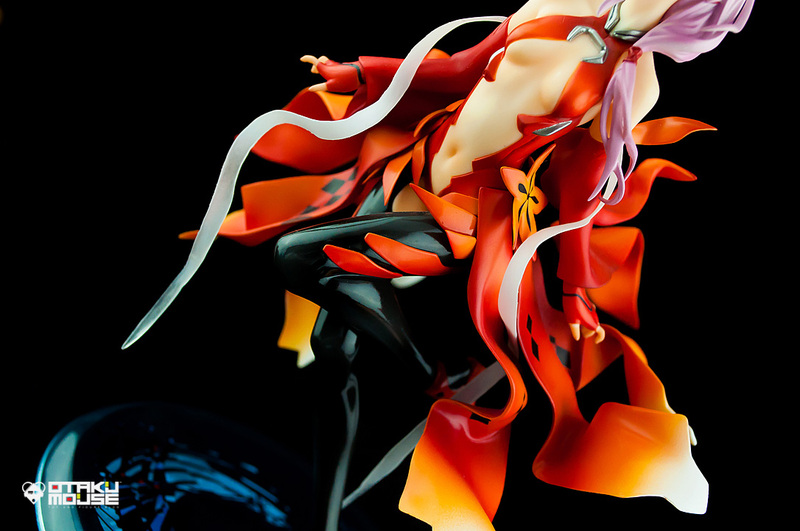 Judging from a few episodes I’ve watched, I can say that Guilty Crown is one of those high quality animes available today (that you should watch). I think I should try and finish the series when I have the time. And did I say I super love the opening tune? 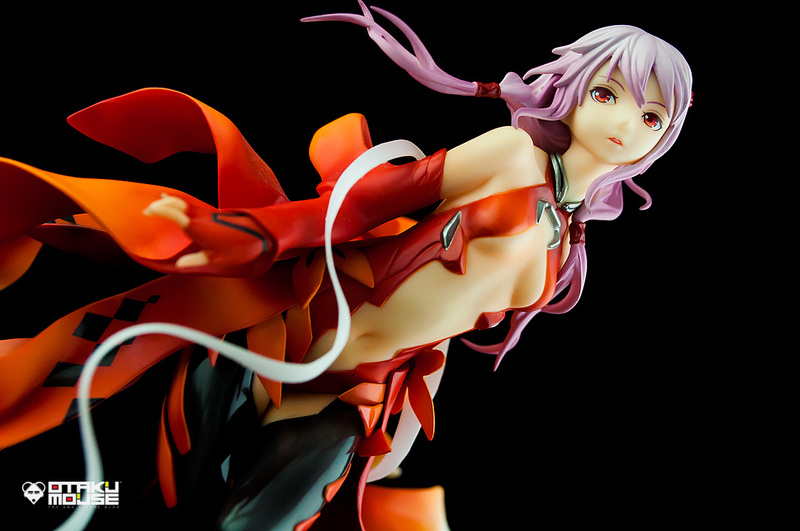 Good Smile Company, as always, did a very good job in rendering Inori as a figure. Overall sculpt is top notch and the paint job is great. 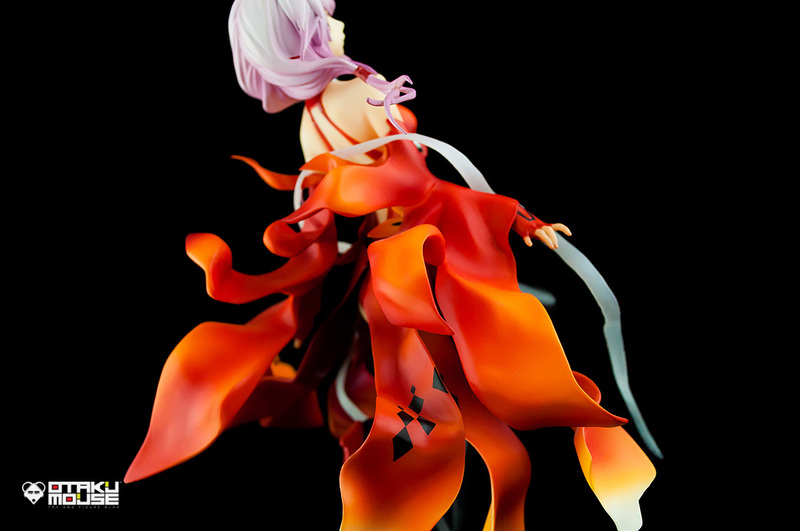 The combination of her colors gives her a very good contrast specially the orange and black parts of her costume. I also noticed that her vibrant appearance seems to make her “glow” sometimes depending on the light source. 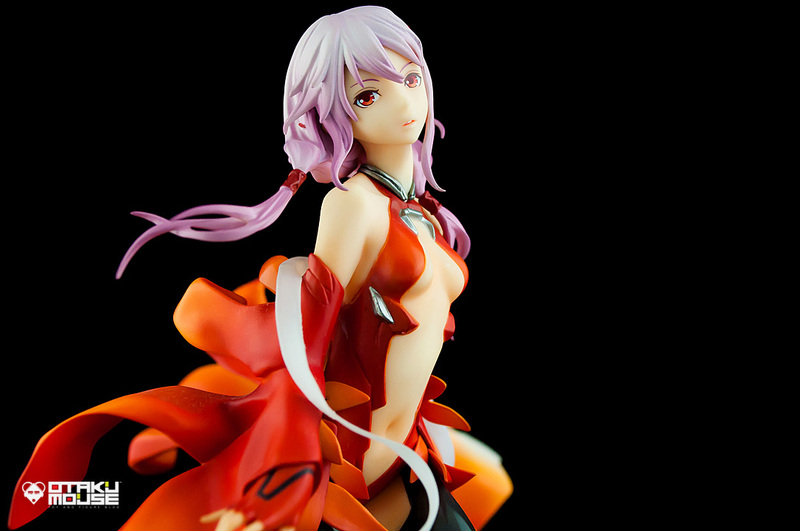 Another thing I like was Inori’s elegant facial expression – it matches perfectly with her pose. 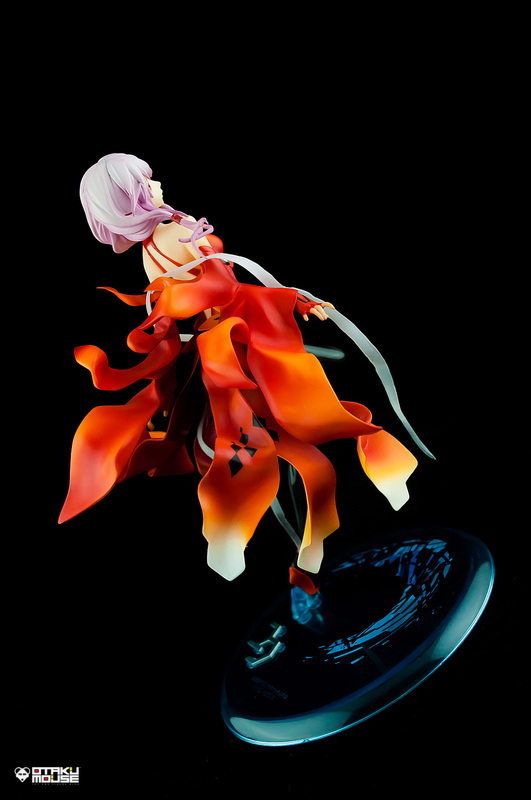 And that realistic and natural flow of her outfit is just really great to look at. 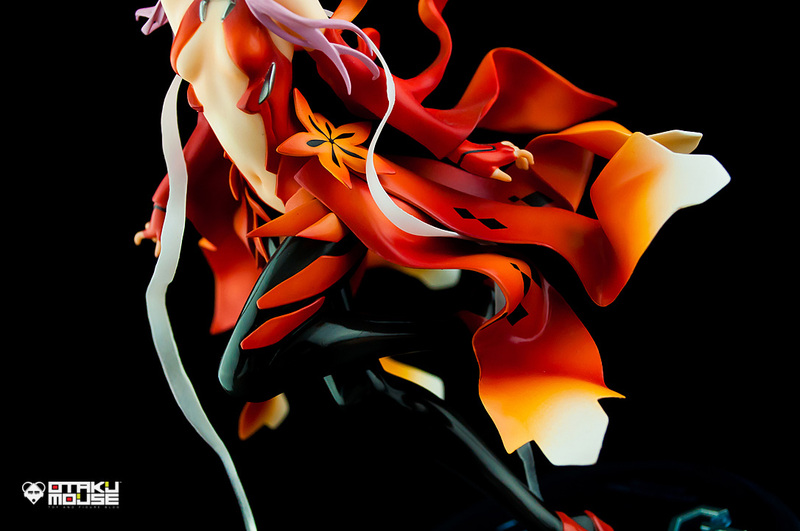 The only comment I have with this figure is when it comes to her scale. She’s 1/8 but she’s really small. 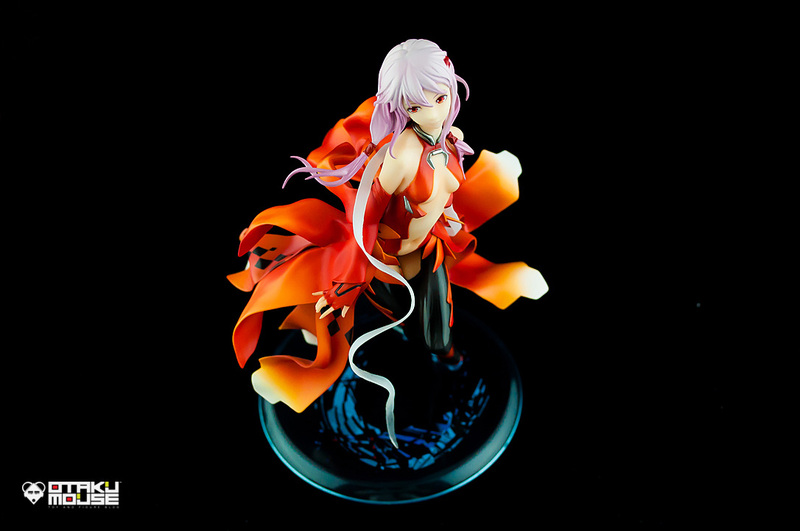 I own other 1/8 figures here from different manufacturers and they’re not as small like this figure. Not sure if all of these scale stuff is universal in all figure manufacturers since I always tend to notice that GSC’s figures are always smaller compared to other brands. Not really a negative aspect of the figure – just a side comment I want to mention. 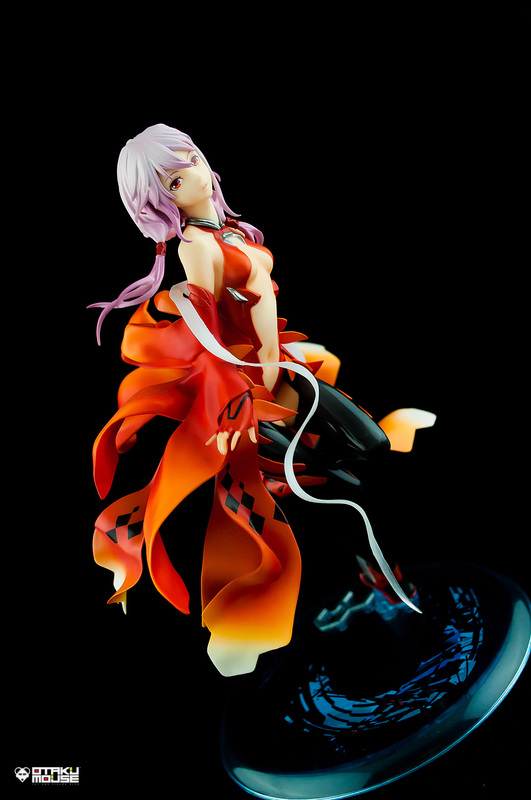 Inori Yuzuriha is the female protagonist of Guilty Crown and a member of the resistance guerrilla group called "Funeral Parlor". 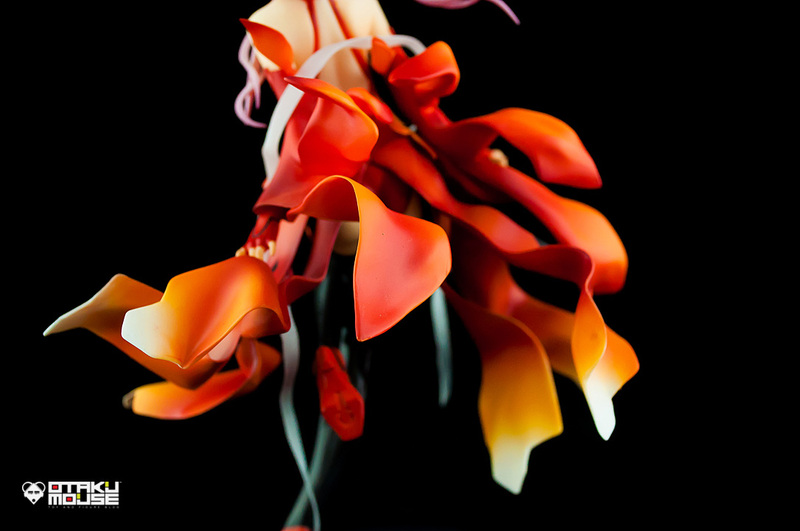 She is the voice of the internet artist "Egoist". 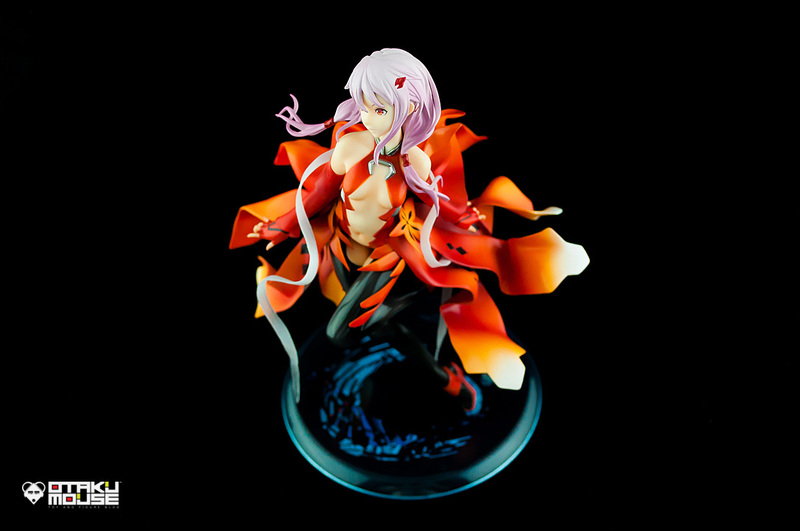 Guilty Crown (ギルティクラウン Giruti Kuraun) is a 2011 Japanese anime television series produced by Production I.G which aired on Fuji TV's noitaminA program block from October 2011. The story revolves around Shu Ouma, a high school boy who inadvertently obtains an ability called "The Power of the Kings" that enables him to draw out items called "Voids" from other people. He is then thrown into the conflict between a quasi-governmental organization known as the GHQ and a resistance group called Funeral Parlor which aims to restore Japan's independence from the GHQ. In the process, Shu has to deal with the burden his ability puts on his shoulders and the horrific mystery of his past. 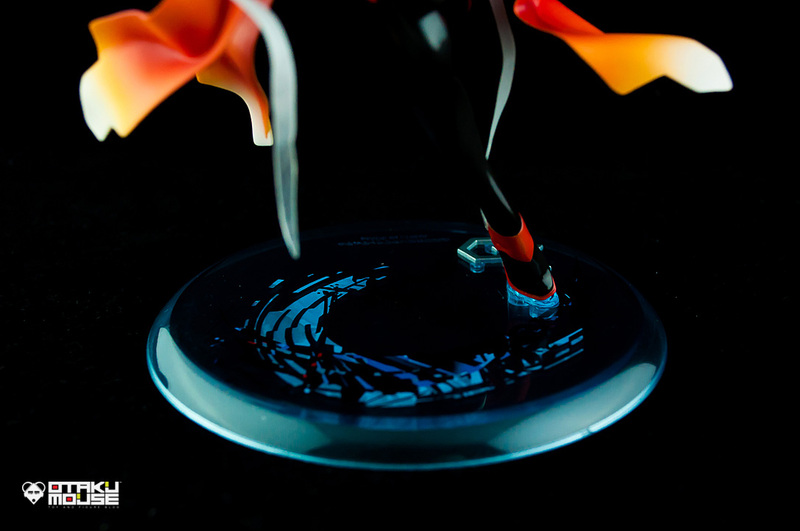 The series incorporates elements of numerous genres, mostly drawing from science fantasy. Prior to the events of the main story, on December 24, 2029, a biological hazard known as the Apocalypse Virus plunges Japan into a state of chaos. This later became known as the Lost Christmas incident. Unable to contain the threat, Japan sought international help and the United Nations sent an organization known as the GHQ to their aid. The GHQ successfully contained the outbreak and restored a level of order at the cost of Japan's independence. Ten years later, a resistance organization known as the Funeral Parlor waged a campaign against the GHQ in order to liberate Japan once more. 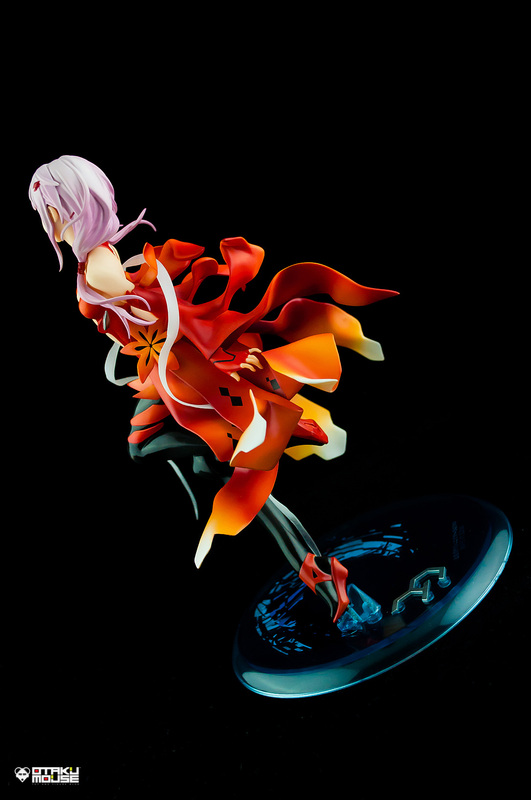 Figure scale isn’t uniform sometimes even with the same manufacturer (I have an Alter Tsukino 1/8 figure that’s smaller than my Alter Otoboku 1/8 figures)…but yeah this Inori came out much smaller than I guess anyone had hoped. Beautiful pictures as always. 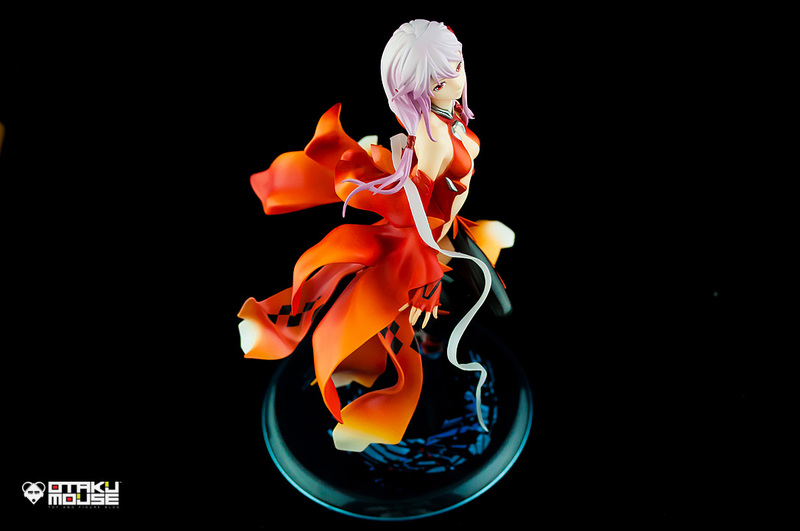 I really like my Inori too and agree with the scale part, she’s a bit too small. 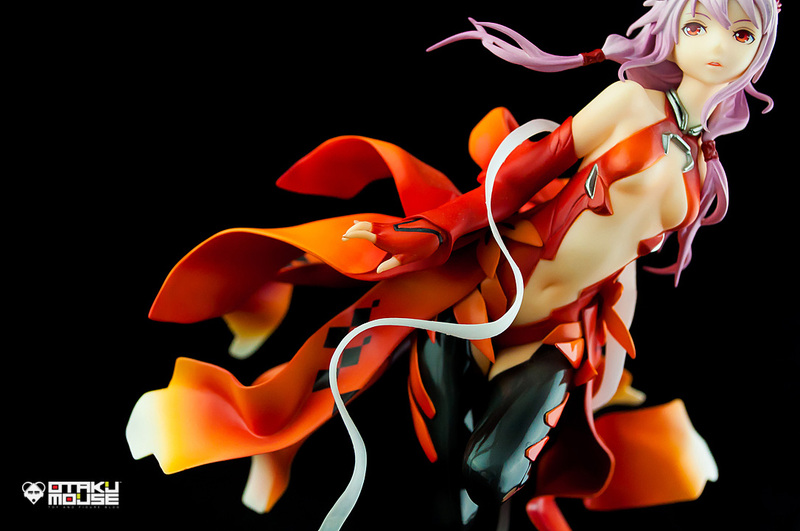 The only thing I would’ve liked is a bit more detail on her stomach, don’t know but it seems “too flat” to me, maybe a bit more detail on her ab muscles. 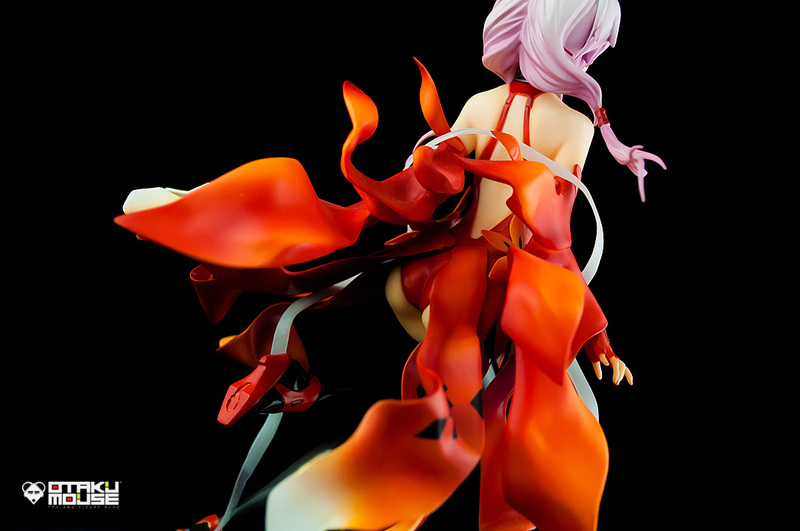 Nevertheless is a beautiful figure and the best rendition of Inori by far. Really like the new website design btw, keep up the good work. Thanks much buddy! Glad you liked the updated site design!